As fun as it is to cut your lawn with a riding mower, they can be expensive to operate and maintain. Even the push variety end up costing you in the manual labor department, so you might want to consider putting a team of animals to the task. 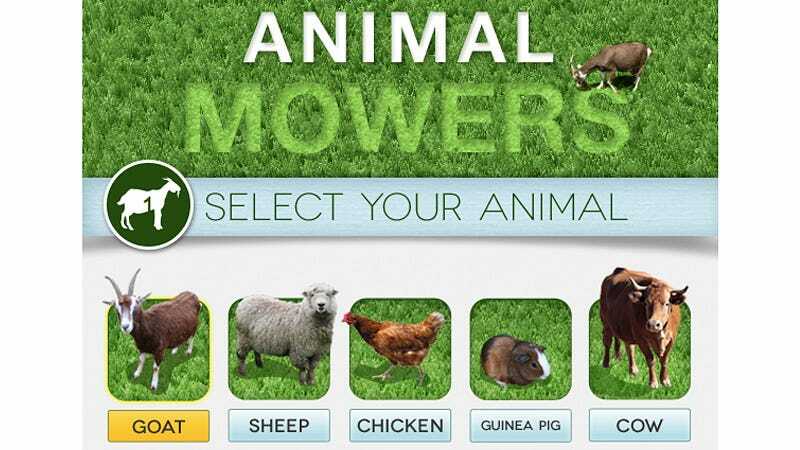 But how many goats, sheep, chickens, guinea pigs, or cows would one actually need to mow a lawn in a single day? It's a question that mankind has asked since the ancient Greeks, and one that is finally answered with this handy online calculator. It turns out that in order to mow the typical American lawn that's roughly a third of an acre in size you'll need 10 goats, just two cows, or a small army of 523 guinea pigs. And while the initial investment might be steep, just remember that these animals basically feed themselves, and what they leave behind will serve as a fantastic and free fertilizer.